January is School Board Appreciation Month! In honor of School Board Appreciation Month, Littleton Public Schools would like to thank LPS Board members Jack Reutzel, Kelly Perez, Carrie-Warren Gully, Jim Stephens and Robert Reichardt. Their dedicated service and devotion to always putting students first helps make Littleton Public Schools the award-winning and community-oriented district that it is. In order to serve the ‘LPS family,’ Board members spend time away from their own families. It is through the passion they have for education - and for each child’s welfare - and through their tireless advocacy for resources necessary to continue improving student learning, that they lead Littleton Public Schools down a successful path. They are willing to grapple with complicated issues and set a positive example through their leadership and the local and state level. 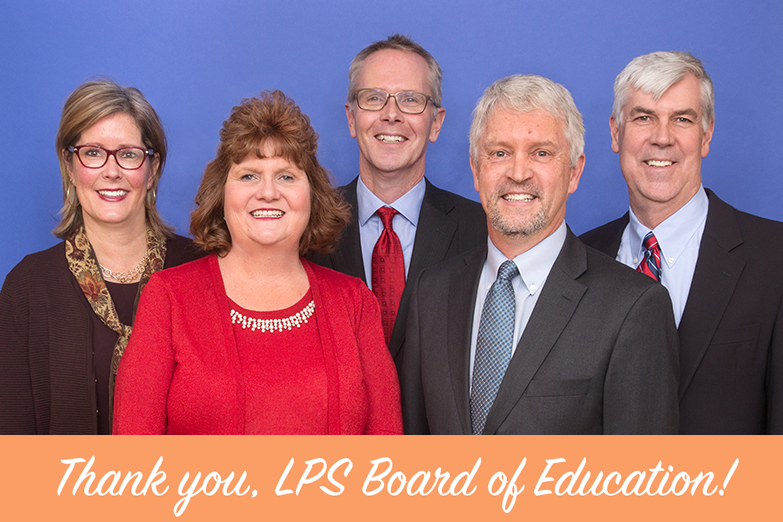 LPS is grateful to have a Board with such integrity and courage. Thank you, LPS Board of Education!